The Daily Mail reports, “She is arguably the most famous singer in the world right now. And Miley Cyrus seems determined to keep it that way. 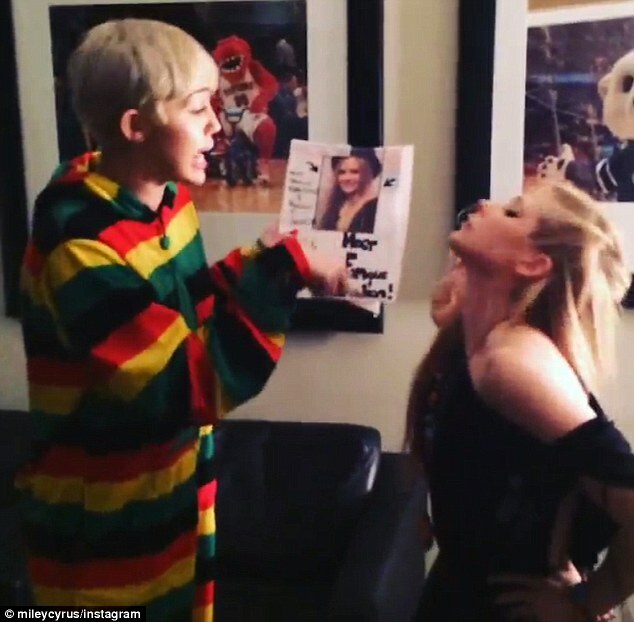 In new pictures and a video posted to Instagram, Miley is seen attacking fellow pop star Avril Lavigne after the pair argue about which of them is ‘the most famous person in Canada’. 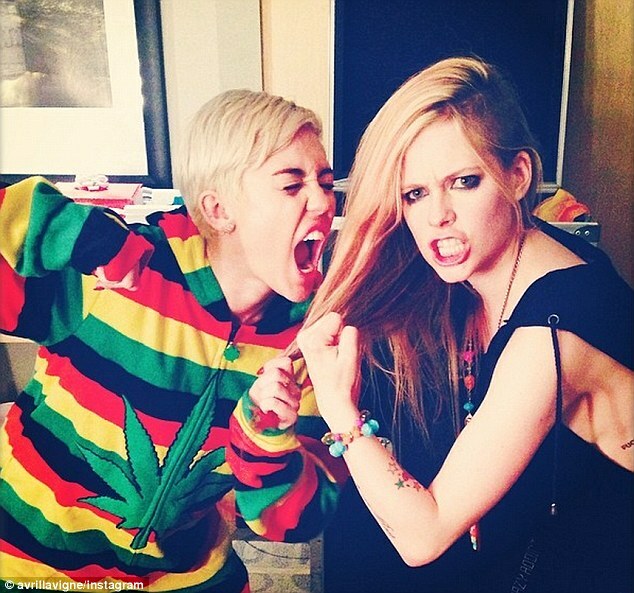 In the video, posted by Miley, 20, on Tuesday, she wears a Marijuana onesie. She is seen reading a magazine with a paper stuck to the front showing Avril, 29, with the words ‘the most famous beautiful and popular in Canada’ scrawled in black pen, as well as ‘I heart’ and a picture of a marijuana leaf. Miley, who is currently in Canada for her Bangerz world tour, looks indignant that she isn’t given the ‘most famous’ title. ‘I mean I’m in f**king Canada,’ she says. Avril then walks in and strides up to the star. ‘Oh hey Miley, I’m actually the most famous person in Canada,’ says the Ontario native. Miley then jumps up and protests, stating, ‘I’m the most famous person in Canada, you dumb f**king b**ch’. The pair then start play fighting. ‘F**k you,’ shouts Miley.